Went to Palandöken Mountain last year. Spent 3 days there. Don't know if I was lucky or if it's always that good. Perfect conditions all around. Plenty of fresh powder and temperatures were mild. Not very crowded either. I'll go again as soon as I have a chance. Palandöken is a great mountain if you want good skiing. Not so much to do there apart from skiing though but if it's skiing you want then it's great. Says Kevin. 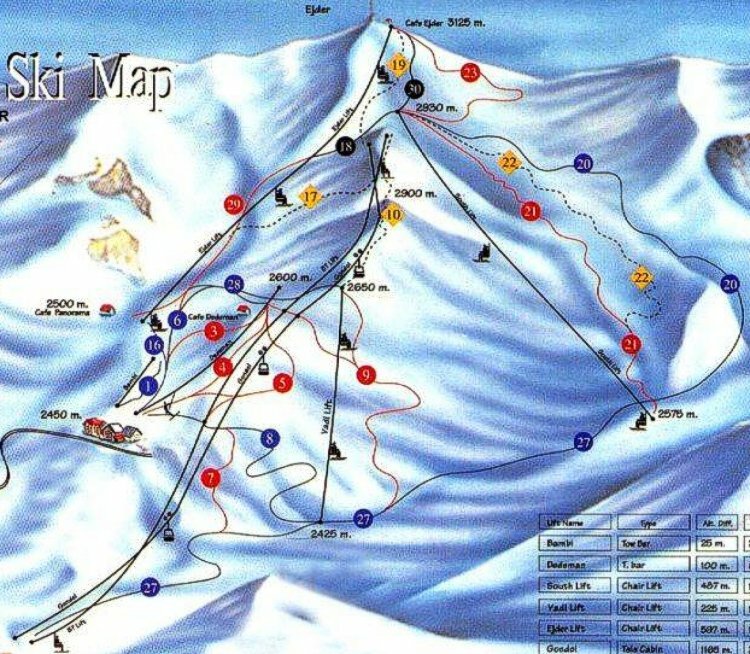 Turkey peaks and all the great ski trails are in themselves reason enough to come here to ski. Skiing and snowboarding in this part of the country is so much fun the whole season. The peaks of Turkey covered in white snow are a glorious site for skiing or snowboarding. Getting your skiing muscles activated and just hanging out with your skiing buddies will have you returning for more.